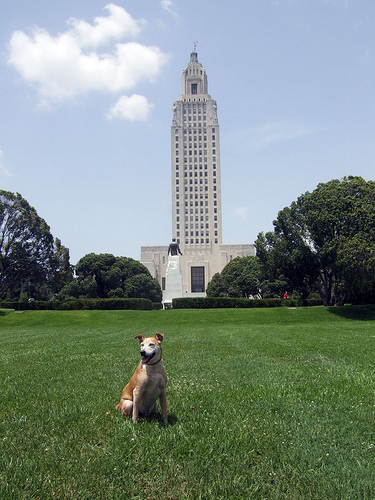 Baton Rouge, Louisiana, is the capital of the state, and has a population of 227,000. It is located on the Mississippi River, on the Istrouma Bluff. It is one of the biggest petrochemical centers of the USA. Many people have relocated to Baton Rouge from New Orleans after Hurricane Katrina, as they have some protection against serious natural disasters. 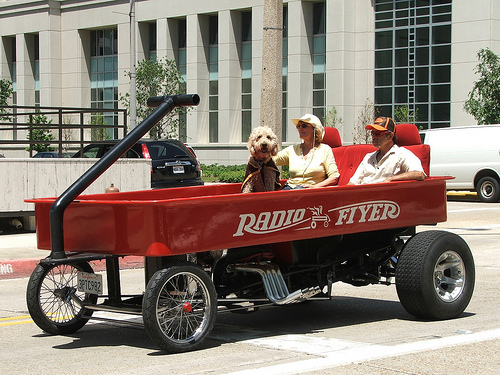 It is a dog-friendly community that has mostly warm weather throughout the year. Watch out for gators, especially if you are camping! This is America’s tallest state capital! It is a National Historic Landmark that is entwined with the political career of Huey Pierce Long. Leashed dogs can accompany you throughout the landscaped grounds, but are not allowed in the building. This is a 101 acre nature center, and leashed dogs are allowed on its grounds four times per year. Make sure to call in advance to find out when these dates are. Definitely worth a visit to check out some of the plant and wildlife, and explore the trails! This is an old plantation house, which is a survivor of the architecture that was influenced by the old settlers from France and the West Indies. It represents much history about the past lifestyle of French Creoles. Dogs are allowed throughout the grounds on leash, but not in any of the buildings. This off-leash park is not fenced, but it has separate areas for large and small dogs. It exists at a 300 yard stretch along the Mississippi River, and there is an area where dogs can swim. There are shaded benches for humans. 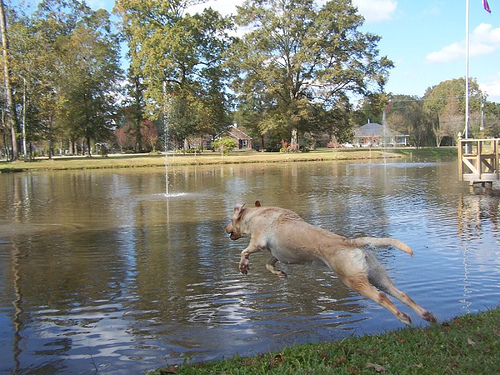 This off-leash dog park is located in the greater City Brooks Community Park. It is fenced and has separate large and small dog areas. It also has benches, shade and a drinking fountain. This boutique has collars, leashes, beds, clothing, toys and accessories. They carry seasonal items for Valentine’s, Easter, Halloween and Christmas. They also offer fresh dog treats from their bakery like Pup Tarts and Biscotti Bites. Now if you’re in Louisiana, you must do something French. This place has French country food, alfresco dining and assorted bakery items. Leashed dogs are allowed at outer tables. I see the last picture had a body of water with a dog jumping in. I live in Baton Rouge but don’t know where this is?? ?